Chartered in 1945, our chapter currently has over 115 members. 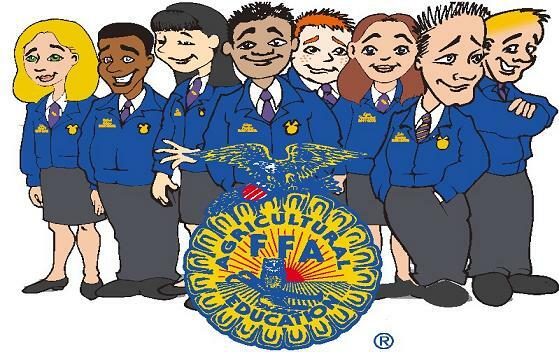 FFA members have opportunities to participate in various Leadership Development Events such as Creed Speaking, FFA Quiz, Radio, Job Interview, Public Relations, and Ag Issues Forum. Career Development Events such as Meats Judging, Livestock, Poultry, Horse, Forestry, Wildlife Management, and Farm Business Management give members the opportunity to use skills in a competitive environment. Students can also choose to select, feed, and groom an animal to present before a livestock judge. Many of our members participate in the Panola County Junior Livestock Show while others compete in major stock shows such as the Houston Livestock Show and Rodeo, the San Antonio Livestock Show and the Fort Worth Livestock Show. They purchase the animal of choice and work everyday preparing for the show. The project requires an enormous amount of commitment and responsibility. It should be considered a family project with the responsibility resting on the FFA member known as the exhibitor. Many important experiences including the aspects of the free enterprise system, time management, self motivation, financial planning and accurate record keeping can be gained from raising an SAE~supervised agriculture experience project. Raising animal projects is not a requirement, but is an excellent way to develop responsibility, solid character, build on a college fund, and have fun along the way. Thanks for visiting our website. The following buyers list contains the information you need to complete your "Thank You" notes. You MUST complete these "Thank You" notes to receive your check. YOU must bring them to the CHS Main Office in a stamped and addressed envelope or no check will be issued.